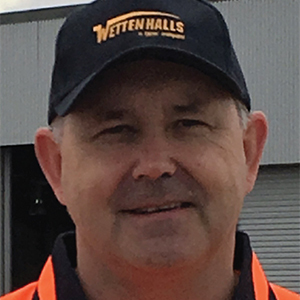 Mike was appointed as the Chief Executive Officer of Wettenhalls on 12th November 2015. Prior to this he was the Chief Executive Officer of the Port of Hastings Development Authority and previously he held senior appointments within BAE Systems Australia Ltd operating in the Land, Air and Sea domains and the Tenix Group. Before joining the private sector Mike had a distinguished military career in the Australian Army as a commissioned officer. He is a member of the Victorian Transport Association’s Executive Council and is currently chairing the Victorian Government’s Ministerial Freight Reference Group. Mike holds a bachelor’s degree, a Masters in Defence Studies and a Masters in Business Administration and is a Graduate Member of the Australian Institute of Company Directors.